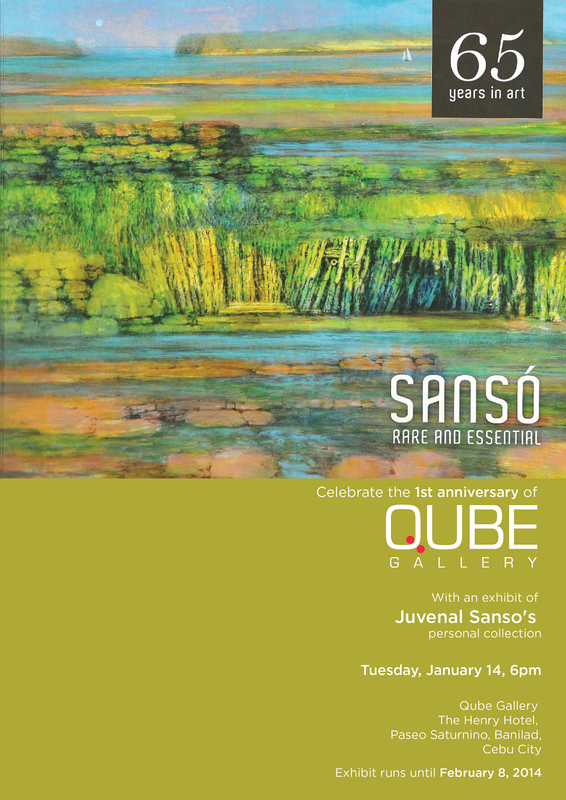 At its 1st year anniversary, Qube Gallery is bringing the personal collection of Juvenal Sanso to exhibit in Cebu for the first time. Born in Spain in 1929, Sanso was only four years old when he moved to Manila with his family. His father was a sculptor who established a decorative wrought iron business. He had hoped that Juvenal’s training under first art teacher Alejandro Celis would incline the latter towards the family business. However, the boy fell too deep in love with painting. Sanso was influenced by masters such as Fernando Amorsolo, Ireneo Miranda, and Dominador Castaneda when he enrolled in University of the Philippines’ College of Fine Arts. He then established a home in Paris in pursuit to master his craft, travelling ever so often to art capitals in Italy, United States, and United Kingdom. After five decades in Europe, he finally comes back to his homeland bringing with him “Rare and Essential” --a body of work done in Paris and themed after summer beach scenes, lush greeneries, and golden dawnscapes. The collection will be displayed in Qube Gallery at the Henry Hotel in Banilad from January 14 until February 8, 2014. Although not a Filipino in citizenship, Sanso stays a cultural icon. With an astounding profile enumerating solo exhibitions and major awards across the globe, Sanso’s spot in Philippine Art and History is beyond definite.